He's known simply as Jimmer. He's also known as pretty much everyone's choice as national college basketball player of the year. 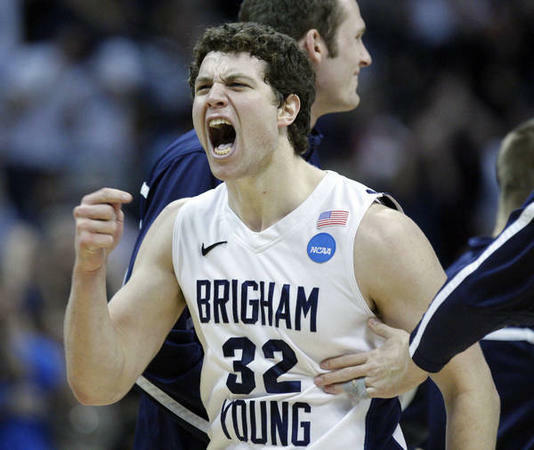 BYU guard Jimmer Fredette added to his hardware haul in Houston Sunday night when he was named the winner of the 2011 Naismith Award, emblematic of the national player of the year, by the Atlanta Tipoff Club. Fredette beat out Ohio State's Jared Sullinger, Duke's Nolan Smith and Connecticut's Kemba Walker and became the first Cougar to earn the prestigious award.